Spring break has arrived, and summer is looming; two factors which make shopping a necessity. I’ve already snagged a saucy swimsuit for the coming sultry days; what else is needed? A blissful Beach Bag to hold my essentials while I’m sitting seaside; and I have found the perfect one in the Summer Beach Bag via Simply Bags. For over a year now, Simply Bags has been my go-to for chic carryalls that are high-quality, affordable, roomy, perfect for traveling, and, my absolute favorite…embroidered with my very own initials; so I was thrilled to see the latest addition to their extensive collection – the Summer Beach Bag! 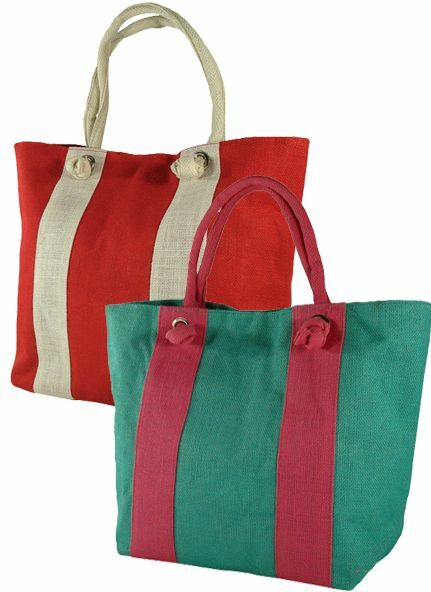 The Summer Beach Bag is the epitome of nautical nattiness, sporting a jute construction, knotted handles (that instantly invoke thoughts of sailing in the Hamptons), and three fun color combinations to select from – Navy / Lime; Pink / Turquoise; and Red / Cream. Inside, there is a zippered pocket for small necessities (so no deep-bag dives need to take place to find what you’re looking for); and the wider space accommodates your larger belongings – like towels, shoes, clothes, and literature that you’ll lazily be perusing while catching some rays. But best of all is the knowledge that, while you’re splashing in the waves, no one will mistake your bag for theirs, as the exterior monogramming serves as your charming claim to fame – and ownership! What bag will be accompanying you to the beach this summer? Thanks to Simply Bags for the picture. Those bags are SO cute! I love the color combo's!! I love crocheted or straw nags in the summer. I usually pick totes up at Target and for everyday, I try to snag a cute one from Sak! What an amazing place to find the perfect beach bag. I love that you can customize them, too. These are fantastic. Thanks for posting about Simply Bags! Wow, I love Simply Bags. They have some fun Travel Totes, too. I love the bag especially the green and pink. Stop by our blog and enter our Giveaway for a personalized necklace by Sima. I have a great mesh bag that I bought at J. crew years ago. It has tiny holes so I can shake the beach sand out - love it! I wish it was warm enough to go to beaches. I love these beach bags. They look perfect for the summer. oh they are really cute. i think i love the teal one. that's so neat you have an embroidered one too!!! I like the big knots where the handles meet the bag- seems very nautical. 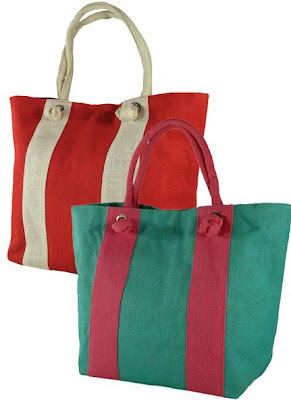 I love beach bags and these are perfect!